If you are reading this the chances are that you are a gamer and if not, no worries. According to Forbes, over half of America’s adults play games. In China, there are more mobile gamers than there are people living in the US and the Chinese industry is expected to grow even bigger than the US within the coming year. When it comes to Europe, I can tell you that 1 of 10 people has played a Swedish video game! How about you, do you play games on your PC, smartphone or Console when you are not trading? Did you enter the world of binary options with a background in gaming? Whatever your answer is, did you know that as a gamer, you have a lot in common with pro traders? The best part is that you even have an advantage over non-gamers when it comes to fast-tracking yourself to profits! What Skills Do Gamers Have in Common with Traders? So, what skills does a gamer have that can be helpful when trading binary options? To understand this, let’s first study a popular game and compare gaming vs trading skills. There are of course many different types of games; puzzles, shooters, adventures and even old-school games like Tetris. I will focus on a popular game, Blizzard’s StarCraft, because there are many aspects in this “Real-time Strategy” game that I often find similar to trading. Some of the skills required to master this game are; reaction time, multitasking, problem solving, strategy, money management, micro management and thinking ahead. 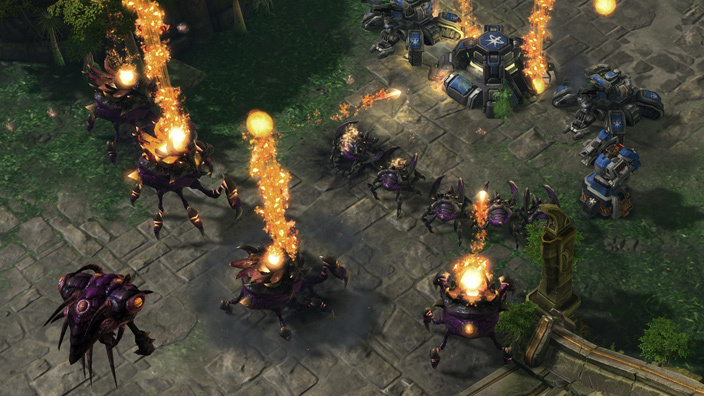 Fun fact: StarCraft is long considered to be an E-sport. This game is very big in Korea specifically and tournaments with prizes reaching up to 100,000$ are regularly held. The pro players live as full time players! In the game, you play as one of the three different races and your goal is to gather resources, build a base, and create an army that you use to destroy your enemies. Relating this to trading; games are played on a screen where opposing forces battle, puzzles are solved or adventures are had. Trading is done on the charts where price action is represented by candle sticks showing the battle between buyers and sellers, the bulls and the bears. The Multitasker – a Micromanager Doesn’t Miss the Details! The first skill on my mind is multitasking. Your ability to multitask is measured in APM, actions per minute. A pro gamer can average 400 APM which means that they are doing almost 7 tasks per second! Now, I was never a pro but I recognize how much gaming has improved my multitasking abilities. It’s not just me, every pro trader would agree that multitasking is crucial because pro traders have to stay abreast of a multitude of rapidly changing market conditions. So, if you have a decent APM ’m sure you won’t have a problem switching between charts and time-frames, keeping an eye on your trading rules and reading the indicators all in a short window of time! Relating this to trading: the goal is to keep as many trades as possible ITM to maintain a profitable win/loss ratio. The Macro Expert – Gathers Info & Invests Wisely! You need to keep alert and watch the macro as well as the micro, as they say, don’t miss the forest for all the trees. StarCraft gamers are kings of macro. While they are micromanaging their units out on the “warfield” they are also focused on gathering resources, making new units and upgrading their arsenal. Basically what this means is that the player with the best macro will have a larger army production and more resources. This same division of attention goes for pro traders as well: strategy and analysis are the micro, your account balance and money management the macro. A traders “macro” is the constant awareness and calculation of his risk and money management so that profits are maximized, losses are minimized and trade size can grow with the account. The pro trader always knows when and how much to invest in the next trade. Relating this to trading; translate production capability into identifying possible trading signals while your verified trading rules and risk/money management are the “resources” that support your positions. APM is not everything, being a quick multi-tasker is only good when you have a working strategy. As a gamer, you might know that running into a room full of enemies and shooting isn’t always the best strategy, even though you are quick on the trigger. At the same time it is never good to rely on only one strategy. Instead, a gamer tries to think at least one step ahead and stay creative, looking for new and better ways to reach the goal. Pro traders are similar and adapt their strategies to different market conditions and analyze their mistakes to find a working solution for every scenario. In conclusion, if you play a strategy game like StarCraft, chances are you are a perfect candidate when it comes to setting up a working trading strategy! Relating this to trading; Strategy, duh! Players often have favorite “perks” in games. Whether it’s a gun, a shield or in the case of StarCraft a special unit with their unique sets of skills, it doesn’t matter. What’s important is that they have used that perk or unit so many times that they have mastered it; they know how it works, how it reacts, its weaknesses and strengths inside and out. Replace units with indicators and you will see that traders are similar to gamers. Each of us has a set of favorite indicators, no one is really better than another, they all have value. Having used them over and over again we know exactly how to read them and their pros and cons. Gamers are aware that to master a tool, you need to spend time using it! They don’t give up easily and try different tools until they find their perfect match. Relating this to trading; your powers or weapons identifies your character when playing a game, the tools you use identifies the type of trader you are. Now you know that all those years you spent on gaming weren’t in vain. You have learned, practiced and honed a set of skills that are very helpful for pro traders. Yes, as a gamer, you have an edge over non-gamers when it comes to mastering binary options trading. Multitasking, high reaction time, strategy , micromanagment and macromanaging your account balance. If you want to discuss or share how your gaming background affects your trading, let us know in CommuniTraders. Oh and I almost forgot, GG!